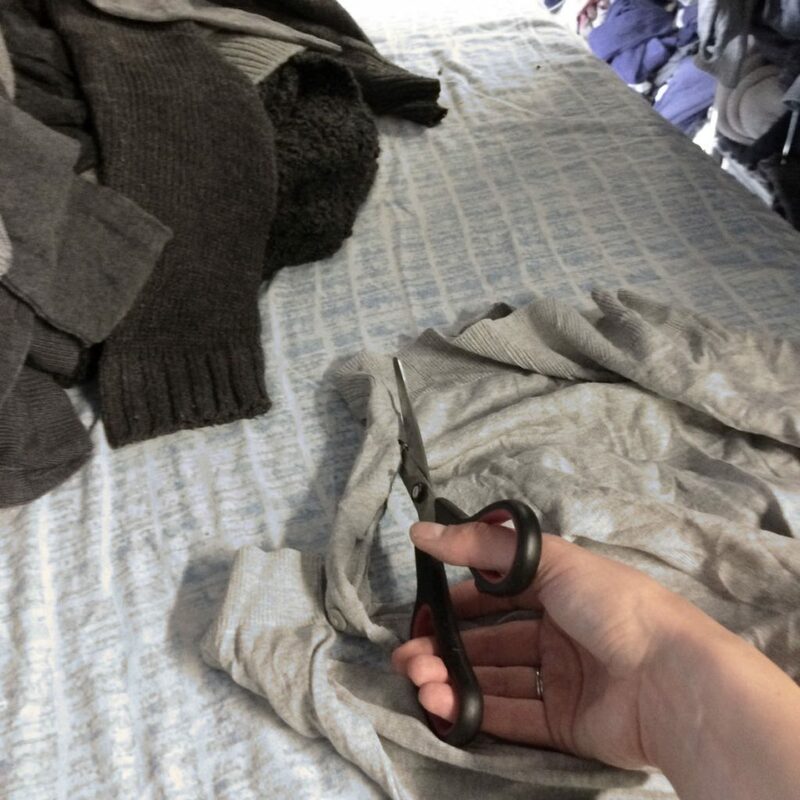 Londoner Cathryn Hall, tells us about her experience of studying MA Textile Design and making full use of our textile design workshops during her time at Chelsea. What have you been focusing on in the Workshops and what specialist facilities did you use? 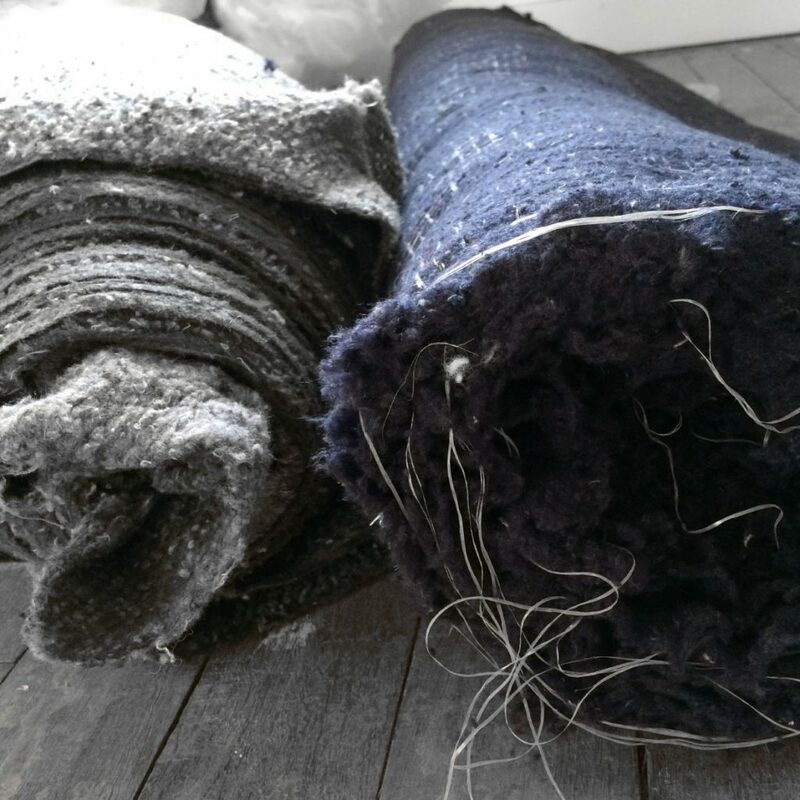 I created my up-cycled, closed loop, interior textile collection. All of my materials are made from unwanted knitwear and turned back into yarn and felt. To produce this up-cycled material, I collaborated with companies outside of the University, but now the yarn and felt is developed I have been spending my time between the knit and stitch workshops using the domestic knitting machines and sewing machines. Can you describe the processes needed to achieve your outcome? Unwanted mixed fibre knitwear sorted by colour was collected from a local recycling company (LMB). Everything had to be sorted by colour (navy and grey) and then all ‘non textiles’ removed, such as buttons and zips. 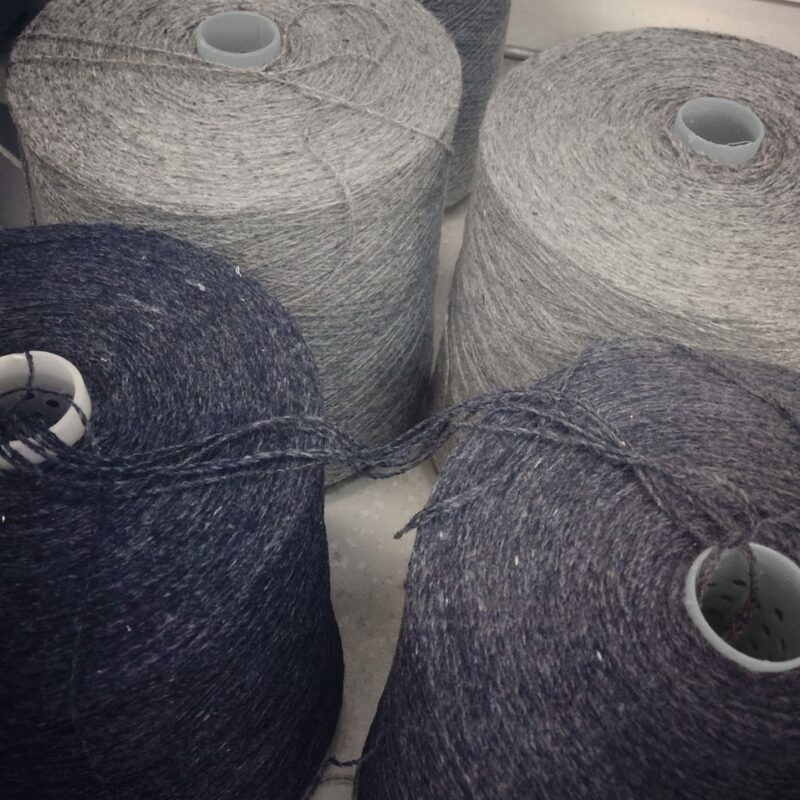 I worked with a further three companies (Davy Textiles, Anglo Recycling and Camira) to pull the knits back to fibre which was then re-spun/felted into beautiful new sustainable materials. Without the use of any harsh dyes or chemicals, these environmentally friendly materials combined with highlights of factory waste yarns created my collection. The knitting technique I used to create the pattern in my rug and basket was achieved on the domestic knitting machines by hand wrapping the yarn into the knit. A time consuming but more hand finished detail. Have you been working with a particular technician? If so how have they helped you develop your work? The knit and stitch technicians have both been extremely helpful and given me advice regarding construction. 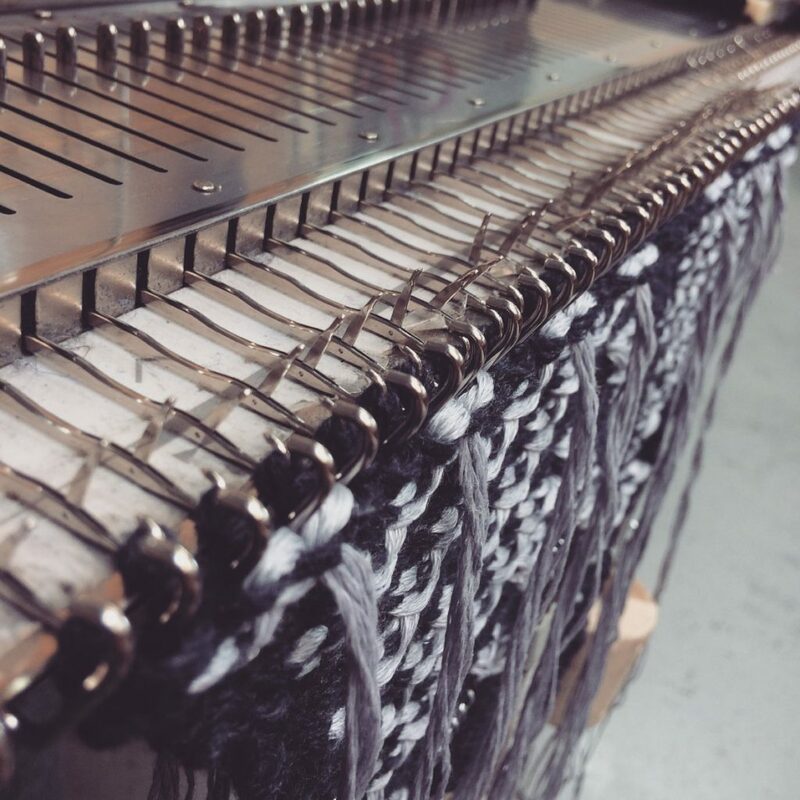 As I have spent most of my time in the knit rooms, the technicians there have been especially amazing and really helped me understand the full capacity of the machines, plus they are always on hand to give advice on alternative methods when something isn’t working as well as you had hoped. What has been your greatest technical challenge so far and how have you overcome it? 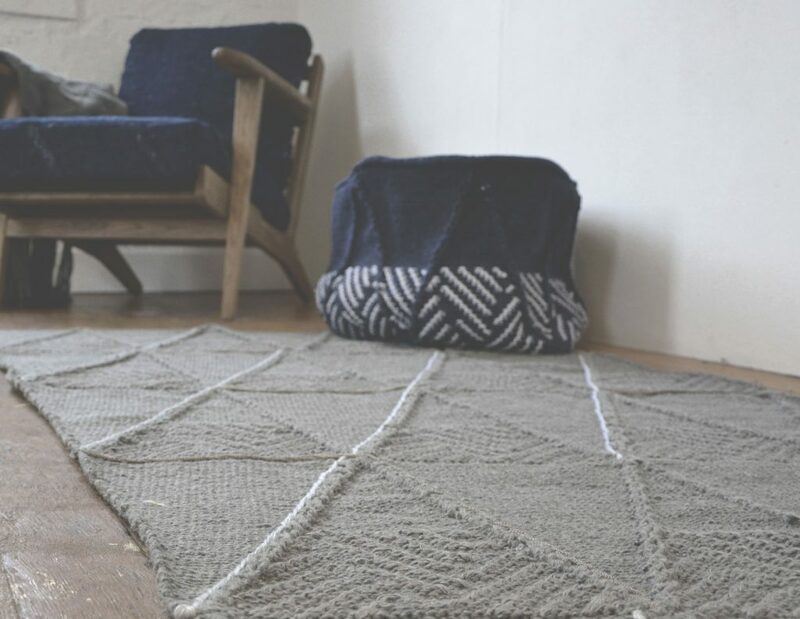 Finding somebody that was willing to spin my up-cycled yarn. Most companies specialise in one type of fibre i.e. wool and anything else has the potential to contaminate future production. The mixed blend, colour sorted resultant fibre became a problem. Nobody in the UK and very few in the rest of the world are using this colour recycling system to produce high value materials, but working with Camira Fabrics I have demonstrated that it is possible, recycled products can be stylish. I am planning a business using this up-cycling idea, Anneka Textiles.